Every trade or profession has a popular list of standard abbreviations. If you use abbreviations it is important that you use them consistently. Of course, they must also be understood by other staff and colleagues. 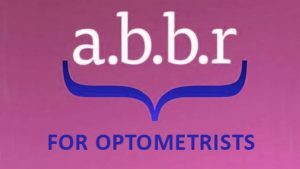 The website linked here has a list of common abbreviations that you could use in your eye-care practice. The list is also useful for staff training. TIP: Print this list for staff reference and use it as a topic for a staff meeting in your eye-care practice. Click here to view the Abbreviations list. While staff meetings are a good idea, the real value will not be achieved unless issues are followed up and results are implemented effectively. This form is used for making notes during staff meetings. As topics are discussed the issues that need to be followed up are identified and assigned to different staff members. In this way they are accountable and actions are encouraged. TIP: Print a small supply of these forms for use at staff meetings. Then review each assigned issue at the commencement of the next staff meeting. Almost everyone strives to improve their business, but it is almost impossible to achieve a single improvement of 20%. However it is a lot more achievable if we try to obtain 20 different small improvements, each of 1%. 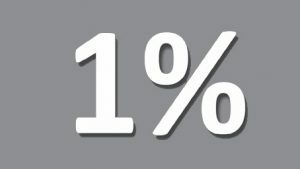 The website in this link contains examples of small improvements that could each achieve results of between 1% and 3%. These are therefore manageable to implement, as well as being encouraging to complete. TIP: Print the suggestions in the download and discuss these with your staff so that there is support for the plans. 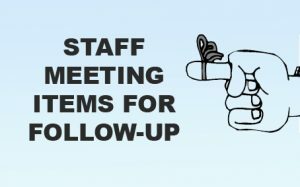 Then implement them and reinforce each project at your regular staff meetings. 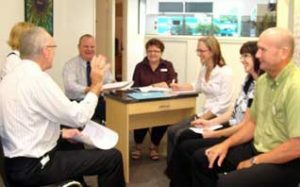 Most optometrists tell us that staff meetings are a good idea, but many of them they have trouble finding suitable topics. One of the best areas is Staff Training, so that the skills for better patient care are improved. The website in the link below has several different handouts for topics related to optometry staff training. 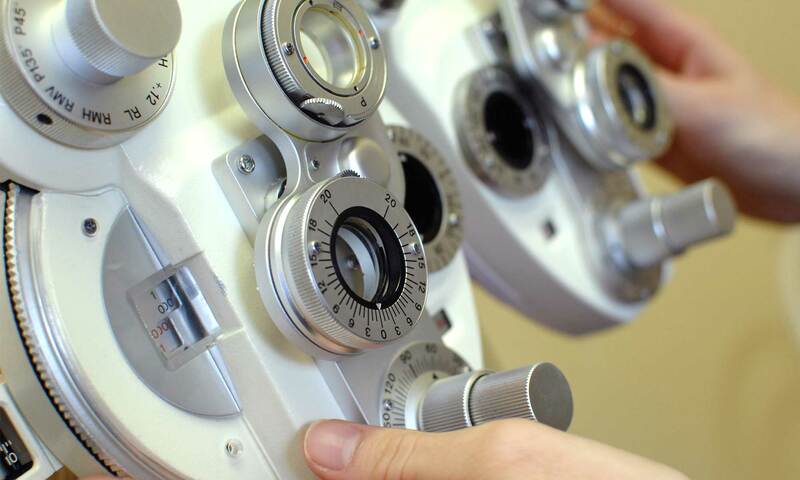 These include: Understanding Visual Acuity; Frequent Questions; Delivering New Spectacles; Types of Contact Lenses; Common Eye Diseases; Positive Communication; Using Demonstrations; etc. TIP: Print one of these handouts and ask a staff member to lead a discussion on the topic at your next staff meeting. This staff member will feel confident because the discussion material is already prepared. Click here to view the download about ‘Understanding Visual Acuity’ (as an example of one of the suggestions). 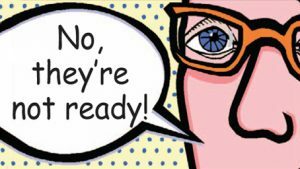 Progressive spectacle lenses are an attractive option over the older bifocal lens designs. However, progressive lenses have their own challenges and they demand greater accuracy in lens positioning and optical dispensing. One of the biggest problems is when progressive lens performance is not as expected, such that the patient experiences problems with a small or narrow field of view for reading. The download on this website is an explanation of how to use the ‘Usable Corridor Width Scale’. TIP: Print the notes and use these for staff training. 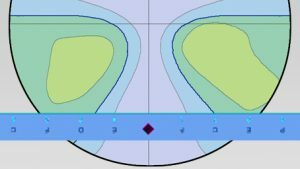 The results will help staff to understand whether the horizontal lens positioning is too wide or too narrow; and which lens (R or L) has the error. We know that service standards are a useful way to achieve a consistent high standard with the delivery of any service. To help achieve this for optometry practices, the website linked below has a download for a list of ‘Basics’ to work towards. The author prepared these standards after seeing the training in a world-leading 5 star hotel. TIP: Give a copy to each staff member in the practice and discuss the ‘Basics’ at staff meetings. You could also enlarge another copy on a photocopier to A3 size. Then display the A3 version on the wall of your staff room so that everyone is reminded. 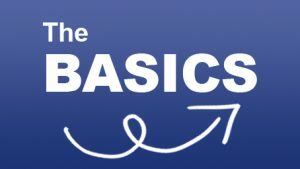 In other words, adopt the ‘Basics’ and make them important.